Our guide to New York will help you find the best green spots in New York New York. What's trendy in New York this week may well be gone by the time you get here, be it an exhibit, bistro, shop, or celebrity. You'll never see it all -- we won't in a lifetime. But do leave time to enjoy our top attraction: people -- en masse, and of all kinds. Here the tapestry is fully unrolled. The city that never sleeps? Don't worry--you'll rest easy with New York hotel deals near Times Square, Central Park, Broadway, and beyond. Get ready for taxi-cab adventures and soaring skyscrapers, and start spreading the news. There are tons of great green spots in the city of New York, our city guide will help you find the best green spots. You may have a hard time deciding what to do in New York, but we make your decision easy. 10 E 60th St, (646) 237-8977 - Rouge Tomate is a green restaurant located in New York NY. 106 Lexington Ave, (212) 921-7810 - Deepam is a green restaurant located in New York NY. 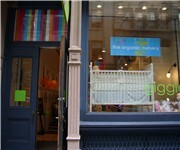 11 Bleecker St, (212) 529-5133 - Quartino Bottega Organica is a green restaurant located in New York NY. 11 Madison Ave - Eleven Madison Avenue Restaurant is a green restaurant located in New York NY. 1121 St Nicholas Ave, (212) 927-0908 - Heights Vegetarian is a green restaurant located in New York NY. 119 E 17th St, (212) 674-6677 - Adelina Vegetarian Restaurant is a green restaurant located in New York NY. 12 E 12th St, (212) 620-4020 - Gotham Bar & Grill is a green restaurant located in New York NY. 12 Park Ave, (212) 213-1001 - Franchia is a green restaurant located in New York NY. 125 E 17th St, (212) 477-7151 - Pure Juice and Takeaway is a green restaurant located in New York NY. 125 La Salle St, (212) 932-3500 - Pisticci is a green restaurant located in New York NY. 127 E 28th St, (212) 685-7301 - Tiffin Wallah is a green restaurant located in New York NY. 130 St Marks Pl, (212) 677-7597 - Whole Earth Bakery and Kitchen is a green restaurant located in New York NY. 132-09 Liberty Ave, (718) 641-8343 - Veggie Castle II is a green restaurant located in New York NY. 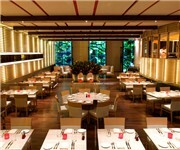 1341 3 Ave, (212) 988-9200 - Atlantic Grill is a green restaurant located in New York NY. 140 E 63rd St, (212) 355-3266 - City Chow Cafe is a green restaurant located in New York NY. 111 E 31st St, (212) 889-3011 - Tulsi Tree Natural Foods is a green food / grocery store located in New York NY. 1424 3rd Ave, (212) 794-0922 - Natural Frontier Market is a green food / grocery store located in New York NY. 1554 Saint Nicholas Ave, (212) 923-6366 - C & C Natural Health Foods is a green food / grocery store located in New York NY. 1593 York Ave, (212) 535-4261 - U Don't Know Nothing Produce is a green food / grocery store located in New York NY. 162 3rd Ave, (212) 780-0263 - Natural Green Market is a green food / grocery store located in New York NY. 165 1st Ave, (212) 260-2600 - Commodities Natural Market is a green food / grocery store located in New York NY. 2127 Broadway, (212) 595-1888 - Fairway Market is a green food / grocery store located in New York NY. 1095 2nd Ave, (212) 688-2618 - Number 1 Farmers Market is a green farmers market located in New York NY. 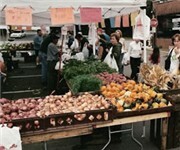 1458 2nd Ave, (212) 396-2626 - Number 1 Farmers Market is a green farmers market located in New York NY. 153 E 104th St, (212) 828-3361 - Harvest Home Farmers Market is a green farmers market located in New York NY. 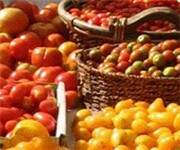 170 E 104th St, (212) 987-2600 - 1 Farmers Market is a green farmers market located in New York NY. 139 Ave A, (212) 254-5400 - Local, Organic, Fair Trade, Recycled, Re-purposed, Biodegradable, Alternative Energy products and gifts for women, men, kids, babies and pets! 169 Mercer St, (917) 237-0045 - 45 Rpm Studio Inc is a green store located in New York NY. 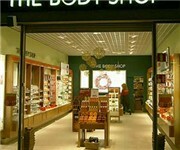 222 Bowery, (212) 226-0444 - Green Depot is a green store located in New York NY. 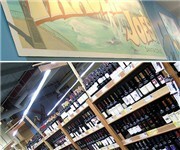 142 E 14th St, (212) 529-4612 - Trader Joe's Wine Shop is a green wine shop located in New York NY. There are plenty more green spots in New York. See all green spots in New York New York.